These whiskey rocks are totally made of Food-Grade Stainless Steel, durable, easy to wash and clean. 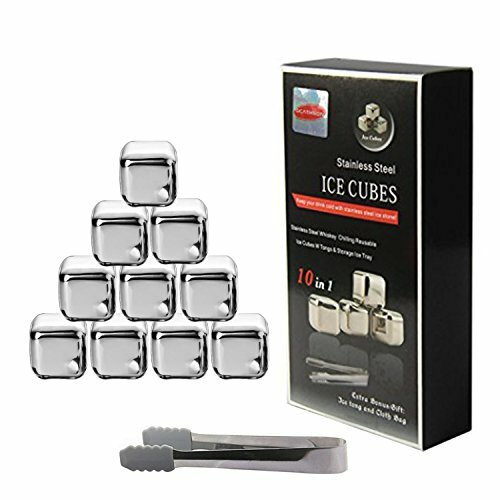 Includes 10 chilling stones made from stainless steel and also with a tong and a velvet bag ,it is a unique gift for spirit drinkers, wine lovers and kindly store them in Freezer if not use them. If you have any questions about this product by Ocathnon, contact us by completing and submitting the form below. If you are looking for a specif part number, please include it with your message.